There is an issue I noticed in the Not a Robot silver badge page. I see few of the users received this silver badge (on Oct 13) but it is still not showing in their profile's badge count. 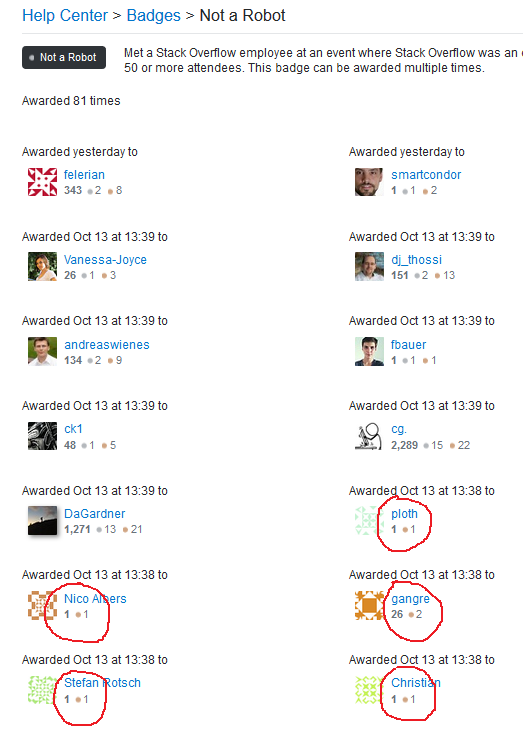 For an example consider this user Nico albers he received this badge, but in his profile it is still showing he received only one bronze page. The screenshot for the other users who are all showing without the badge count. Browse other questions tagged bug status-norepro badges profile-page not-a-robot . Why do some badge groups not have all 3 levels?